The self-titled debut from Overseas is a dreamy waltz of foreboding and reconciliation, a coin flipping head over tails in spotlight slow motion, landing briefly on its edge before accepting that it’s both sides at once if it’s anything at all. For the first few songs, the band’s sound is wide open, immediate and full of wonder. Will Johnson warbles impressionistic, as if glancing skyward on one of those alive-awake nights where the almost-full moon seems three times its normal size. But then a few tracks in, the record’s gaze narrows, spinning you back inside yourself. As always, David Bazan challenges us to challenge ourselves, diving fearlessly into the mundane darkness to ponder subjects and situations from which most of us would rather run. “Bank on the future, box up the past / Bury the questions you don’t want to ask,” he later harmonizes with Johnson on “Came with the Frame.” But you can’t always take Bazan deadly serious. Sometimes he’s a sardonic comic; Morrissey’s evil twin, bloody bit tongue swollen firmly in cheek. 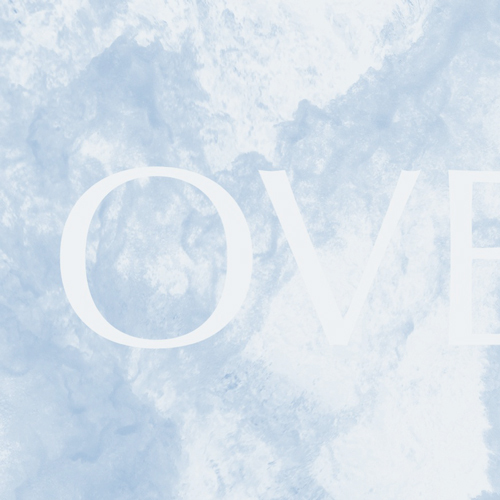 Overseas is truly collaborative music made by old friends—Johnson of Centro-Matic and South San Gabriel, Bazan of Pedro the Lion and Headphones, and brothers Matt and Bubba Kadane of Bedhead and The New Year. In these songs, you can hear them losing themselves in the moment, grabbing hold of fleeting ideas, holed up in the studio in the sweltering Texas night. To hear Johnson & Bazan—such distinct, singular voices—trading tunes on the same record is a powerful experience, Will all sighing yang to David’s self-reflective yin. Not to mention the latter’s understated bass playing, the former’s melodic drumming, and the subtle yet brilliant invention of bandleaders the Kadanes, who steadfastly pump the bellows that fuel the group’s creative fire, bringing its songs to life with their intuitive musicality. In collaboration, this quartet is tasteful, egoless, the collective emotional impact of their work always crater-deep. It’s a manifestation of the trust, camaraderie and mutual respect that comes with their enduring friendships. Back in the early ’90s, Johnson and the Kadanes were lighting up the Dallas underground in their respective bands, Funland and Bedhead. A decade later, both camps independently befriended Bazan. For Matt and Bubba, it was in 2002 when David played five solo dates opening for The New Year on a West Coast tour. Just a few years later, Will opened several shows for Bazan, and ended up joining him, Vic Chesnutt and American Music Club’s Mark Eitzel in the critically acclaimed Undertow Orchestra. Johnson also toured as The New Year’s third guitarist in 2008, and Bazan had been geeking out on Bedhead since he was a teenager. The foursome’s web of connections is vast and tangled, so when the idea of a collaboration came up, all were enthusiastic. Their beginning, though, was unexpectedly somber, cathartic and prolific. While Overseas’ simple, daring new record begins outwardly with marvel at the world, a large part of its journey takes place across a single point in space. One holy, meaningless vertex. The battleground within one’s self. About two-thirds of the way through, when the gravity of Bazan’s reflection builds to a point of nearly overwhelming tension, Johnson slips back in through a crack in the dawn, acoustic strums gently closing third eye as we leave inner space. Serene. Like the first moment of clarity in the wake of a heady, cacophonous acid trip. All this now in the rearview, the record momentarily, fittingly, blasts free with “The Sound of Giving Way,” a big, symphonic, time-halting tune that would sound gorgeous cascading around an arena. But before things get too untethered, the band lassos it all back to the quiet pondering of everyday routine. To doing the dishes, which has always been a philosopher’s job. Overseas makes the mind wander—it is an unconscious, spontaneous, understated treatise on passion, identity, love, lust, God, forgiveness, family, rock & roll and the road. And when the last song, “All Your Own,” scrolls, there’s a taking stock, a sweeping out of ashes. There you are, soot-faced, ready for whatever’s next. Which is good. Because Overseas is already working on a new record.